Get The Fizz In Your Home By Making Homemade Soda! Nothing beats a cold and refreshing soda on a hot summer day. It soothes your throat and nerves and leaves you feeling remarkably refreshed. When you get the cravings for the soda sensation, do not think about how far the store is but how close your refrigerator is because you can make your own soda right in your own kitchen. Many people think that making soda is a complicated process whereas it is not the basics are sugar some flavor and carbonation. You need the complex machines if you are doing mass production but creating a few bottles should be no problem whatsoever. If you are in doubt about the authenticity of such home making methods, then be assured that making soda at home has been tried and tested over the years. Many have been making refreshing drinks from plants in the gardens hence the name of such popular brands like ‘root’ beer and ‘ginger’ ale. The inventor of the recipe must have had aging children pulling at her skirts on a hot summer day or so I believe. 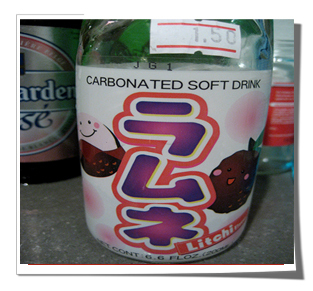 Commercial soda is made using water, artificial flavor and carbon dioxide. The flavor and water are in the form of corn syrup then once the liquid is made, the gas is pumped into the soda through force carbonation. The difference with homemade soda is the lack of equipment to force carbon dioxide into the liquid. The solution is to add some yeast to the solution that at warm temperature will ferment and produce carbon dioxide. What you need to do is combine all your ingredients well, and once you get the desired amount of liquid pour it into a sturdy bottle that can accommodate and handle the gas. Add in yeast and let it ferment for two days under room temperature. After that, place it in the fridge to avoid the liquid fermenting further and creating a beer of sorts. Yes, homemade beer is made in the same but do not worry but the alcohol content in the soda because of your children. The refrigeration impedes further fermentation keeping alcohol levels to less than 1%, which has negligible effect on yourself and your children. 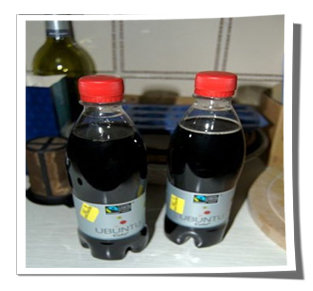 Get a few sturdy bottles and it is safer to use strong plastic instead of glass. Plastic can withstand the gas pressure, and in the event, you underestimate the gas production, plastic will burst open unlike glass that will shatter and cause possible harm. Keep away from glass until you get the hang of the brewing process. Always keep tabs on date and time of brewing for accuracy and avoid over fermentation. Preferably, taking bottles equivalent to a serving size to make it easy for someone to pick one form the fridge and drown it down. It also prevents children from taking too much once they know they can only take one bottle. Sanitize the bottles before use and never use those from the recycling outlet to avoid the presence of bacteria. Place the bottles as you prepare the ingredients in water with a little chlorine for about 20 minutes then rinse thoroughly afterwards. Get a bottlebrush to clean your bottles after use under replace bottle caps often as the pressure makes them wear out easily. Homemade soda is healthier that that bought in the store. 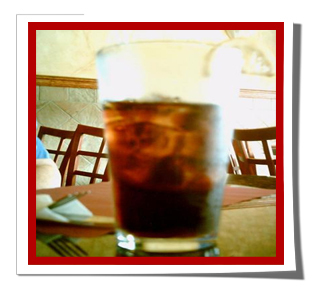 Depending on the ingredients you place in your soda, you enjoy the nutrients from the ginger or the licorice root. The yeast added for the carbonation process contains complex vitamin B. Importantly, if you want to enjoy a soda but are wary of the high sugar content in commercial soda you can control the sugar in yours. No more worries about sugar content in your blood stream or decaying teeth in your children. Home soda contains less sugar by a third to that in the stores. Homemade soda is cheaper to make then going to the store and buying some. You can take one day of the weekend and make some for the whole week then refrigerate. Picking soda of a shelf does not count as quality family time unlike spending several minutes in the kitchen with your children as they aid with the process. It makes perfect time to throw a few life skills their way. The author of this post Emily used to work for a well-known soda manufacturing company. She is of the opinion that installing soft drink machines at home is a good idea as it lets you have your favourite soft drink in the comfort of your home.